Testing on a new track – Olympic Grand Prix. I had the unique opportunity to be invited to a preliminary testing day at the new karting track at the Ridge Motorsports Park, Olympic Grand Prix. The track is starting out as a rental kart facility, but is interested in growing to be able to accommodate racing karts. So, they invited some drivers to come down to the track, run some laps and provide them feedback on how they could modify the track to make it safer for faster karts. I had an opportunity to learn from Aaron Stanford how he assess a new track, and I gave some of my input as well. The OGP staff are assessing when they are going to make the track officially available for practice days and races, but it was really exciting to be invited down. The track has a pretty unique rhythm to the other karting tracks in our area. The first and second sectors are my favorite areas of the track, being a mixture of a high speed corner leading into a medium speed sections. My new chassis. 2012 Ital-Kart Rapido V.
So the biggest change, racing-wise, has been that I recently changed chassis to Ital-Kart. My ‘home-track’ is the Sumas International Motorsports Academy, where the North American distributor for Ital-kart is based out of. Italian Motors has done an excellent job taking care of my X125 engine, and helping me with the setup and tuning on my old chassis. When the opportunity came to move to a chassis that was supported directly through them, I couldn’t pass it up. I’ve learned this year that having comprehensive dealer support is crucial when trying to stay on the track as often as possible, so it really was a logical next step. Like I said, not the most exciting post, but just showing that I’m still around. After I posted this, I thought that I really should give a bit more context for my hiatus. Earlier this year, I’ve found out that my grandmother was sick was going to pass away soon. It was a really tough time for me, because she is such a fundamental part of who I’ve grown up to be. During that time, I started to re-assess myself and where I was in my life. I really decided to start challenging myself more, partly as a distraction to what was going on in my life, but more importantly to really start to pull more out of myself. I started taking on harder projects at work, started being more interested in my fitness, and decided to switch race classes from World Formula to TAG Sr in karting. It’s been a really challenging time for me, but in a positive way. It’s really been super satisfying. If anything, it’s given me some clarity about how passionate I am about improving myself. I’ve found to really start to make the next step, I have to tear myself down, analyze all of the factors and then build myself back up again. It’s been a constantly evolving process. For example, getting a chance to see some much faster drivers up close have helped me to better put my current skills into perspective. Getting a chance to see better karting setups up close has given me an opportunity to really see how important it is for me to get the best machinery that I can get my hands on and really understand how it works. Really, all of these changes have helped to re-stoke my competitive fire by teaching me how much more there is for me to learn to be better. Sure, I’m not where I want to be, but knowing that there are much higher goals that I can reach just serves to get me more motivated to head towards them. That’s life, right? Always chasing a moving target. 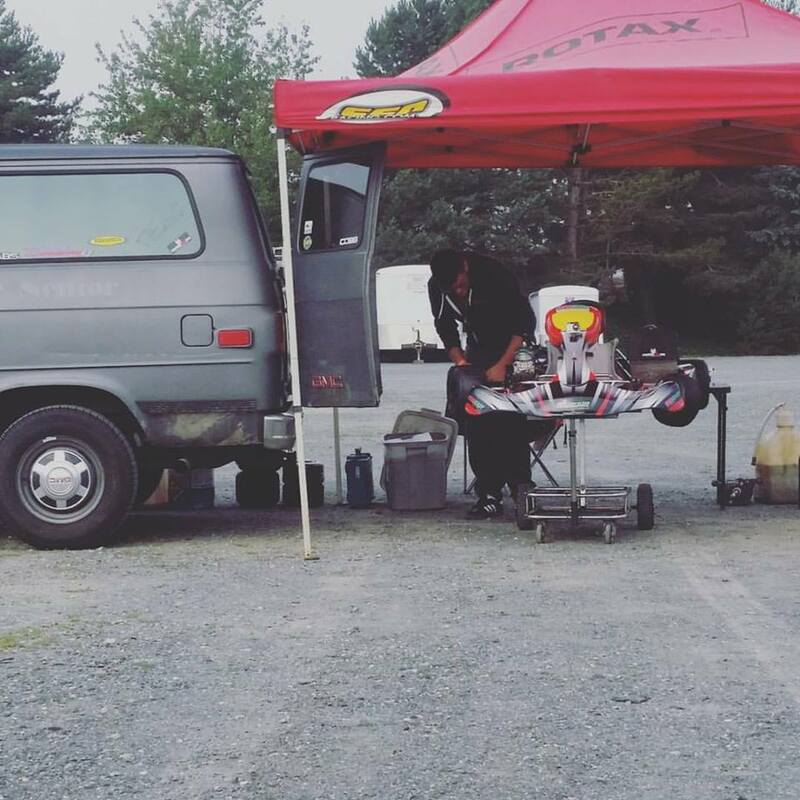 This entry was posted in Karting, Race Projects and tagged Ital-kart, karting, Sumas, [TAGTeam]. Bookmark the permalink.